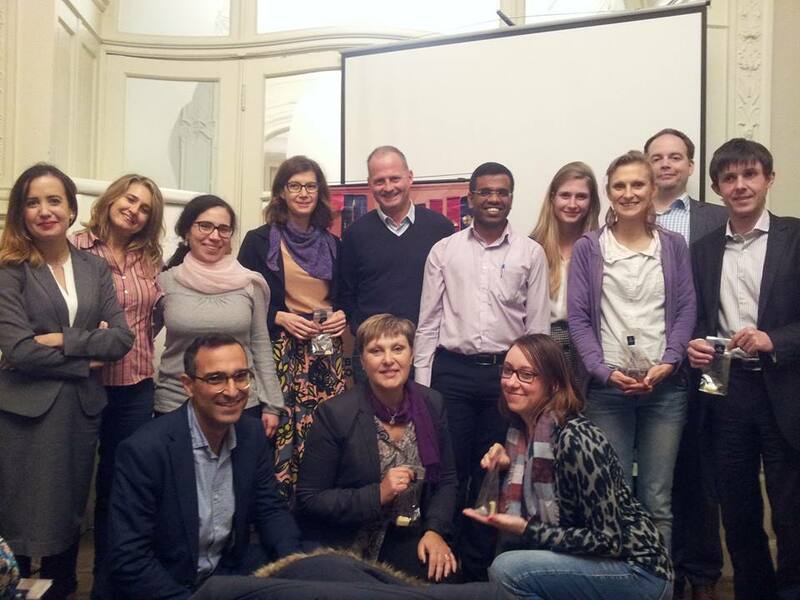 Berlaymont Toastmasters Club – Brussels, Belgium – Where leaders are made ! 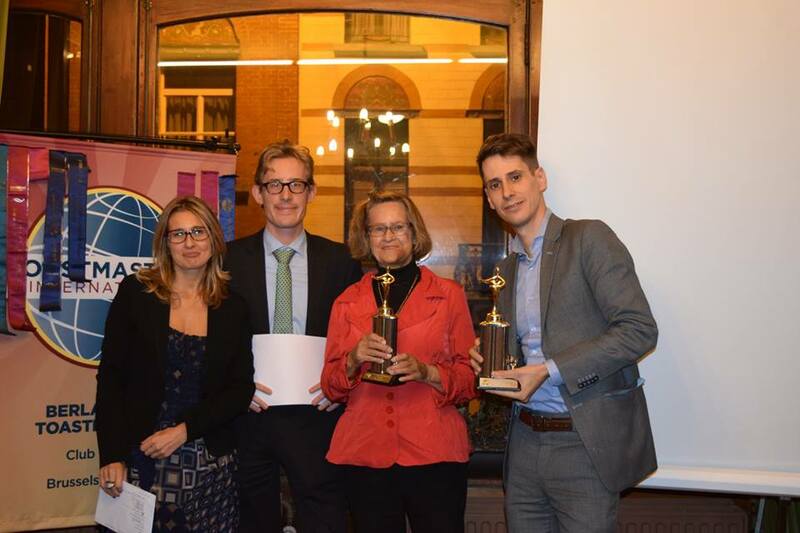 Toastmasters has not only helped me to be a better communicator. It has helped me to, quite simply, be better. Self-confidence, ability to connect with people, effectiveness in conveying a message, these qualities are hard to overstate in any professional or personal context. I am a glad member of Berlaymont Toastmaster, a fun place where so many interesting people gather. The Berlaymont club helped me be more clear and effective in my communication both in English and in French. In particular, now when I go for job intereviews I feel more at ease responding to questions for which I haven’t prepared. 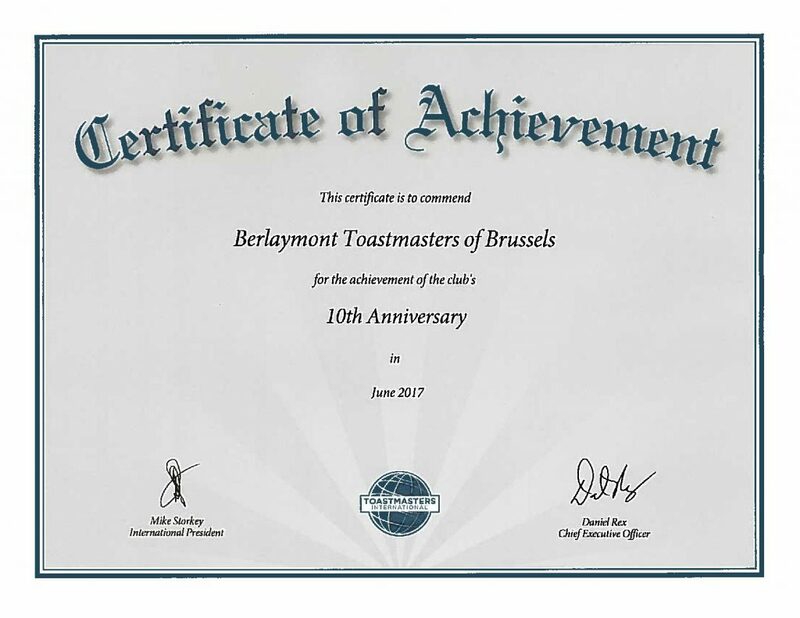 Berlaymont Toastmasters Club is 10 years Old ! We celebrated our 10th Anniversary on 1st July 2017 !